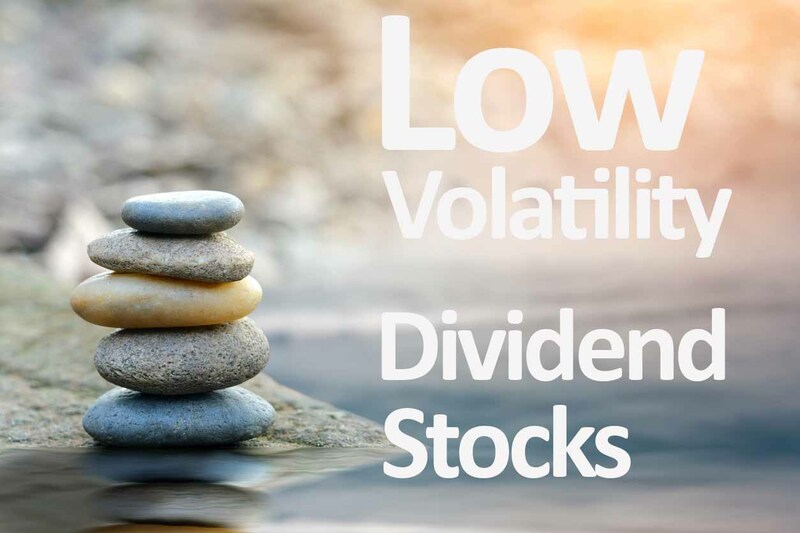 The market has been on a wild ride lately so we decided to put together a list of dividend growth stocks that have the lowest beta. Each stock here has 15 years or more of consecutive dividend increases. We chose to feature 8 stocks with a DSO rating of 90 points or more. Beta is often used to measure how volatile a stock is but it does not measure its potential for total return or loss over long periods of time. The market has a beta of 1.0. When a stock moves less than the market it has a beta under 1. When a stock makes bigger moves than the market its beta is over 1. While stocks can have a low beta they can still drift away from the market’s performance and end up with very different results over long periods of time. Beta information and the charts below are sourced from cnbc.com. The numbers below are calculated from past returns and do not indicate how stocks will perform in the future. After the table, we’ll dig into the specifics of each stock. As always this is information only, not a recommendation to buy or sell. McCormick has a market cap of 17.8B and has risen 38.1% over the last 12 months. The stock has a low 1.5% dividend yield, one of the lowest on our safe dividend list. MKC has a P/E ratio of 21.4. It has a strong 5-year dividend growth rate of 8.6% and a low payout ratio of 31.2 which is why it has a historical performance rating of 90/100. Clorox has a market cap of 19.4B and has a 1-year return of 4.6%. It has increased its dividend for 41 consecutive years and has a dividend yield of 2.43%. Their 5-year dividend growth rate is 6.3% and the payout ratio is 56%. CLX managed a 92/100 in our last rating update. Flowers Foods has a market cap of 3.9B and is down 2.2% over the last year. Flowers has increased its dividend for 17 consecutive years and has a dividend yield of 3.9%. It has a strong 5-year dividend growth rate of 9.8% but its payout ratio is a bit higher than we normally like to see approaching 70%. Its 3-year revenue growth rate of 1.5% and poor 1-year performance has this stock receiving only a 90/100 despite its above-average dividend fundamentals. Norwood has a market cap of 206M and has lost 2% over the last 12 months. It has increased its dividend for 20 consecutive years and has a low 5-year dividend growth rate of 3.4%. It has a solid free cash flow yield of 7.8% and a payout ratio of 52% giving it room to increase its dividend. It also has a very solid 3-year revenue growth rate of 12%. Sysco has a market cap of 32.1B and has increased 4.3% over the last 12 months. The company has boosted its dividend for 49 consecutive years making it just one year away from reaching legendary dividend king status. It received a 95 point historical rating in January for its decent 2018 performance, 5% 5-year dividend growth rate and a low payout ratio of 51%. UGI has a market cap of 9B and has increased 13.7% over the last 12 months. This stock received a rating of 94 despite its relatively low yield of 2%. It maintains a very low payout ratio of just 25% and has a 5-year dividend growth rate of 6.7%. UGI’s performance over the last year helped it reach a high rating and show up on our top 100 overall list. Cincinnati Financial has a market cap of 12.3B and has increased 4.8% over the last year. CINF has a P/E ratio under 10, a dividend yield of 2.7% and a relatively high free cash flow yield of almost 9%. That combined with its low payout ratio of 25% means this dividend has room to grow. CINF has had 58 years of consecutive dividend increases and earned a 95 rating based on historical data. Target has a market cap of 34.7B and has increased by just over 3% over the last year. This dividend king earned a 94 point rating due to having a 3.8% dividend yield, 13% 5-year dividend growth rate and a low payout ratio of 41%. The poor revenue growth rate of -.3% is keeping this stock from receiving a higher rating and should make growth investors cautious. Here’s a video to provide more information on stock volatility and beta.